Spanish philosopher; flourished either in Spain or in Africa in the middle of the fourteenth century. He was imbued with Neoplatonic ideas, and he wrote from that standpoint an important philosophical work in Arabic in three parts. Of these the first, entitled "Uns al-Gharib," is an introduction to the "Sefer Yeẓirah," arranged in the form of dialogues between the author and his soul and between a pupil and his master. Appended are ten chapters on man's acquirement of perfect bliss. The second part, "Tafsir Yeẓirah," is a philosophical commentary on the same work; and the third part, "Tafsir Pirḳe R. Eli'ezer," is a commentary on the Pirḳe R. Eli'ezer, finished Feb. 8, 1365. He also cites a work, "Al-Miftaḥ," and a commentary on the prayers, "Tafsir al-Ṣalawat," written by himself, but now lost. 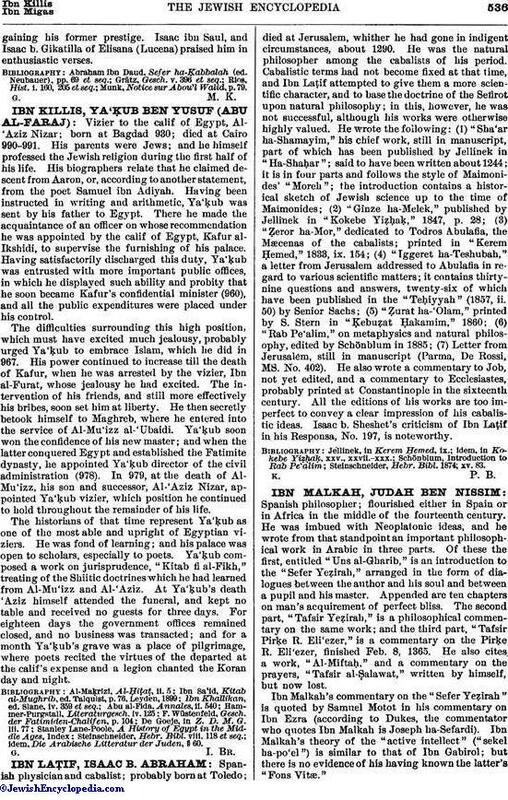 Ibn Malkah's commentary on the "Sefer Yeẓirah" is quoted by Samuel Motot in his commentary on Ibn Ezra (according to Dukes, the commentator who quotes Ibn Malkah is Joseph ha-Sefardi). 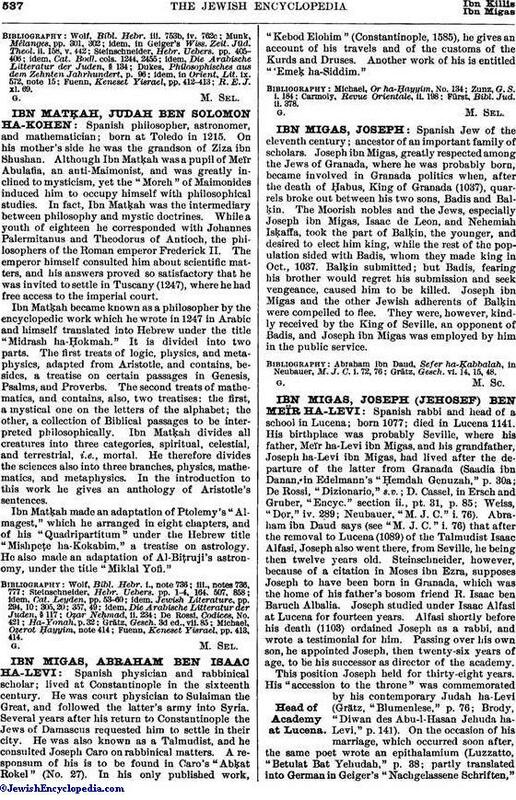 Ibn Malkah's theory of the "active intellect" ("sekel ha-po'el") is similar to that of Ibn Gabirol; but there is no evidence of his having known the latter's "Fons Vitæ." R. E. J. xl. 69.